With a 100 horsepower (75 kW) Cat C3.4B engine, a rated load capacity of 11,021 pounds (4 999 kg), and a maximum lift height of 45.5 feet (13.88 m), the new Cat TH514D telehandler has the power and specifications to handle demanding jobs on any construction site. The Cat TH514D’s updated hydraulic system provides fast, powerful, multi-function performance, which is complemented by its long-wheelbase stability and its ability to handle a range of attachments. A refined operator's station, plus optional ride-control and boom-float systems, ensures optimum comfort and convenience. Attachments, including forks and a choice of carriages, buckets, truss booms, winches, pipe grapple, sweeper, material-handling arm, concrete bucket, and fork-mounted platform extend the TH514D telehandler’s versatility— and in some instances can eliminate specialized equipment on the job. Additionally, a lifting lug with capacity matched to the rated capacity of the telehandler has been added to the underside of the boom head. This eliminates the need to remove a fork carriage for tethered lifting. A manual Cat IT (Integrated Tool Carrier) attachment coupler is standard, and a hydraulic coupler is available. 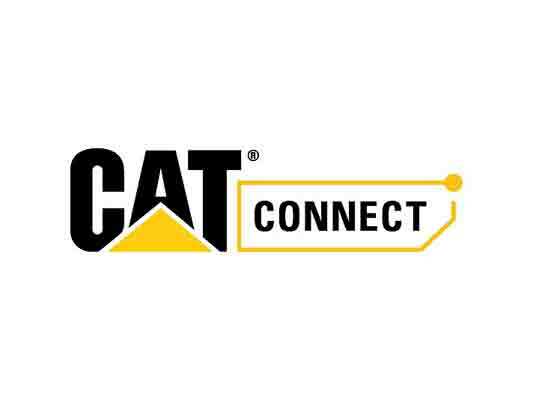 The Cat C3.4B engine meets U.S. EPA Tier 4 Final emission standards and requires no operator input, other than periodically replenishing the diesel exhaust fluid tank. A heavy-duty, 4F/3R power-shift transmission provides exact gear ranges for varied applications, and the Cat TH514D's four-wheel-drive system uses heavy-duty axles with planetary-reduction hubs, front limited-slip differential, and dual-axle braking for enhanced safety. Service brakes are the oil-immersed, multi-disc type on both axles, and the manually actuated parking brake works with the TH514D's front-axle brakes. The new model uses Mitas 14.00-24 16PR pneumatic tires as standard, with Goodyear pneumatic or foam-filled options. The TH514D telehandler’s closed-centre, load-sensing hydraulic system reduces the load on the pump and saving fuel using a variable-displacement, axial-piston pump and flow-sharing valves, delivering rapid hydraulic response by matching pressure and flow to the task. The hydraulic system is designed for smooth, consistent, multi-function operation, with rapid overall cycle times. A standard auxiliary hydraulic circuit is plumbed to the boom head for powered work tools, and a second front-auxiliary circuit is available. 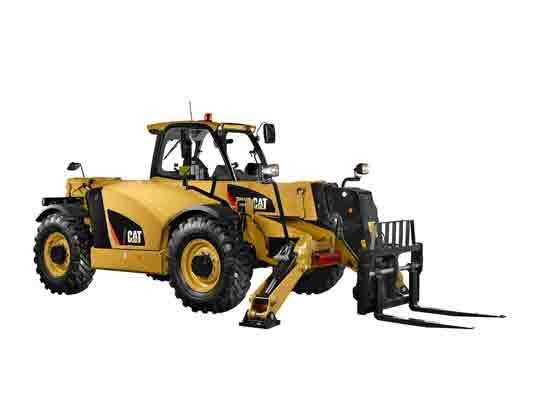 The Cat TH514D's spacious operator station (open canopy is standard) features a single multi-function joystick with integrated controls for auxiliary-hydraulic functions and for shifting the transmission (column-mounted transmission controls are available). 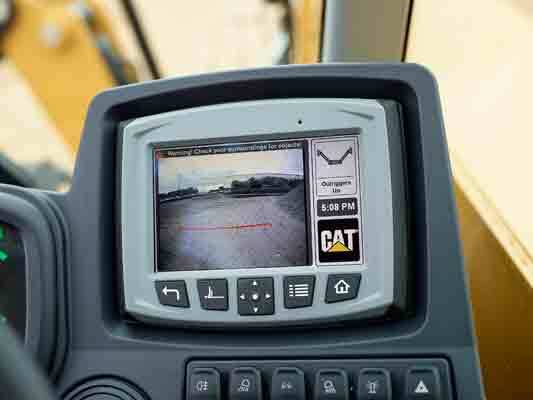 The Cat Operator Preferences feature allows telehandler operators to adjust machine response to individual preferences. A mechanical-suspension seat is standard and designed for all-day comfort. 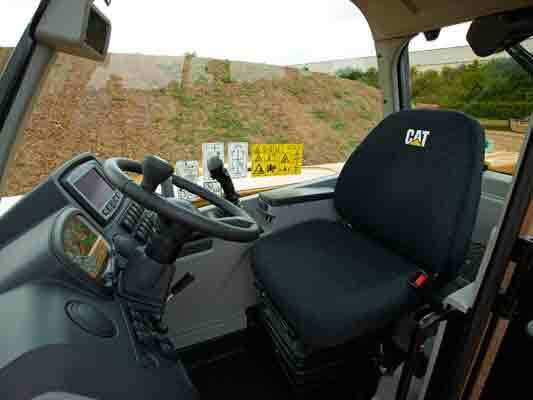 Options include an enclosed cab with heat, air conditioning, air-suspension seat, additional interactive large display screen with electronic load charts, rear view camera, reversing object sensor. The ride-control system dampens telehandler boom movement when traveling in rough terrain, and the boom-float system allows the boom to automatically follow the contour of the terrain. Both features contribute to a smooth ride and added operator comfort. To simplify routine maintenance, service points are accessible from ground level, and the longitudinal placement of the engine and large hood provide easy access to the engine, coolers, and hydraulic components. Part of LINK technologies, the Product Link system wirelessly connects owners to their equipment, providing access to valuable machine data such as location, hours, fuel consumption, idle time, events, and diagnostic codes for analysis and reporting via the online VisionLink user interface. LINK information assists with fact-based decision making to help increase efficiency and lower owning and operating costs.